Frequently asked question on our Real Ketones product sold exclusively at Walmart! 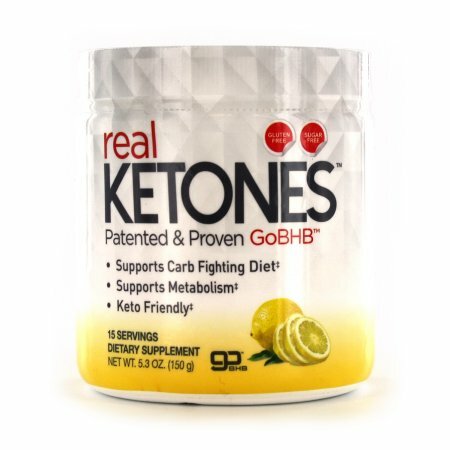 Where can I purchase the Real Ketones product? When is the best time to take Real Ketones BHB supplement? The ideal time time to take Real Ketones is when you're looking for some extra energy, which varies person to person! In most cases Real Ketones is used before a workout for an extra boost. What is the difference between the Real Ketones BHB supplement vs Kegenix PRIME? Real Ketones is limited to solely having the BHB, while our PRIME has the patented technology of utilizing BHB and MCT oil together to further enhance ketone production. Is Real Ketones dairy free? Yes! Real Ketones is a great option if you can't consume dairy for health and/or moral reasons. What flavors does the Real Ketones product come in? Real Ketones currently comes in our lemonade flavor, perfect for a refreshing pick-me-up! What is the serving instructions for Real Ketones BHB supplement? We recommend mixing one scoop with water or your favorite fruity beverage. Drink daily to get the burst of energy you need!